Today, my work was featured on Aline Smithson’s blog, Lenscratch. This is huge for me. I could not be more excited. 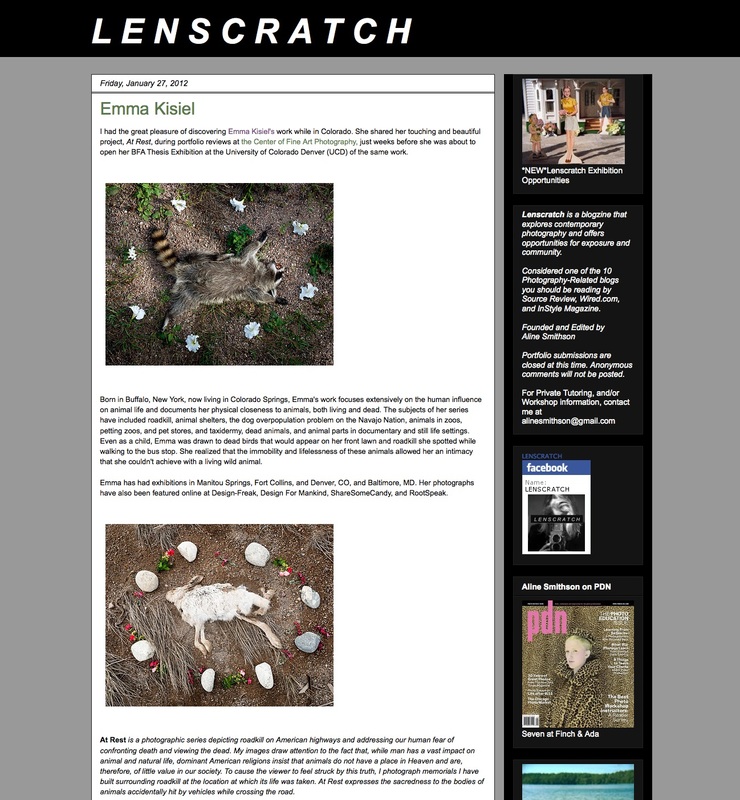 Absolutely beautiful work Emma, I’m glad Lenscratch led me to your site. I have often thought about animals in similar way and have always been drawn to that type of subject matter. It is rare to see such a heartfelt, impactful project devoid of pretense. Keep up the good work. thanks for such a kind comment, kyle! !